J.S. Howard Electrical Co. is locally owned and operated right in the city of Sanford. And with our location in Central NC, we serve the communities of Chatham County including the town of Siler City. 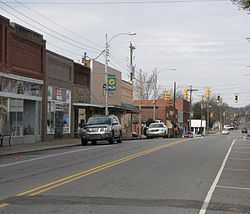 Located just 24 miles northwest of our hometown Sanford, Siler City is the largest town or city in Chatham County with an estimated population of about 9,000 and has grown over 75% in size from 1990 to 2016 In recent years, Siler City has become a suburb of Greensboro and the Research Triangle Park. Since 1997, it has developed as a center of industrial-scale poultry processing, and attracted many people to move to the area for employment.